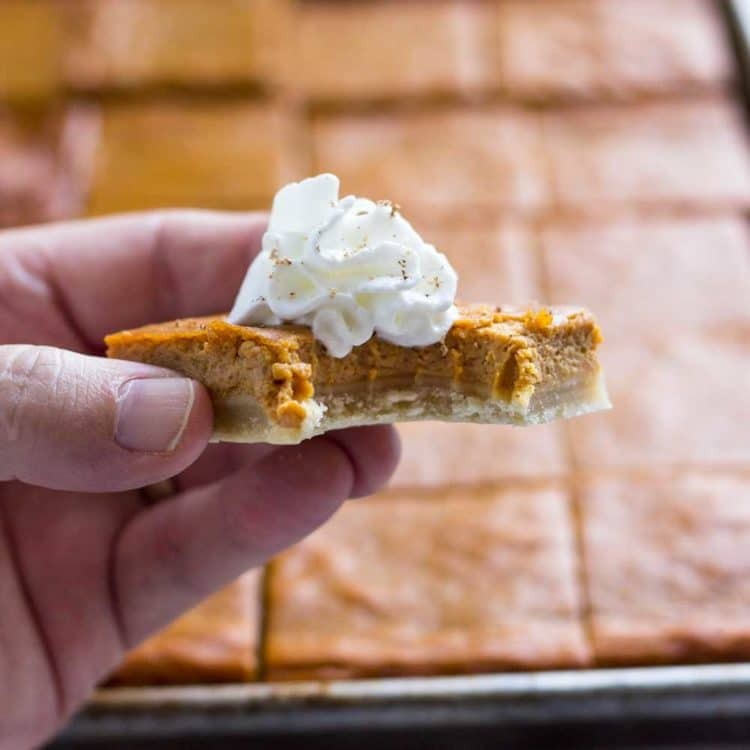 Have you heard of the term “slab pie” before? 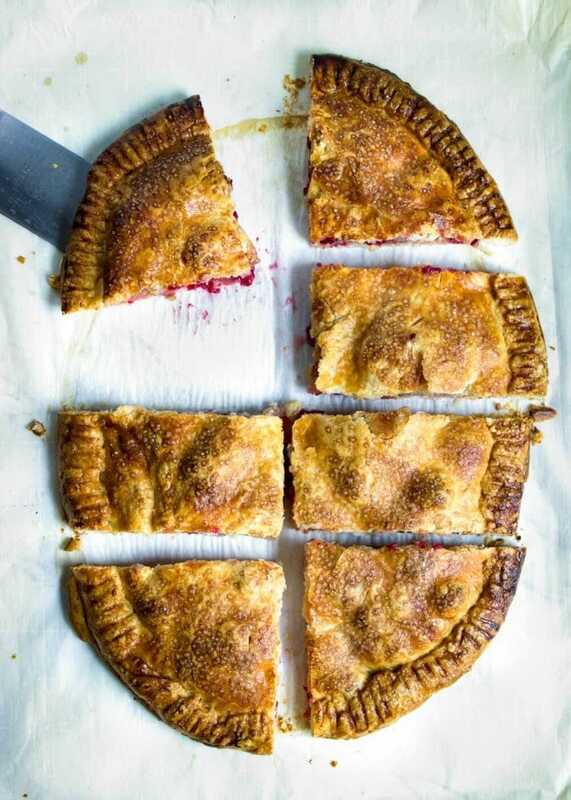 I had not until a few months ago reading a magazine, and when I realized I had my Chicken Tamale Pie in my pie bakeware, an idea came to me and this Cranberry Apple Slab Pie happened. It has everything a round version has, but the dough is free formed and party ready! Apples are big in this house and I thought with a few cranberries in the mix, this would be a great idea for Dave’s birthday who happens to be a apple pie kinda guy. Win, win. 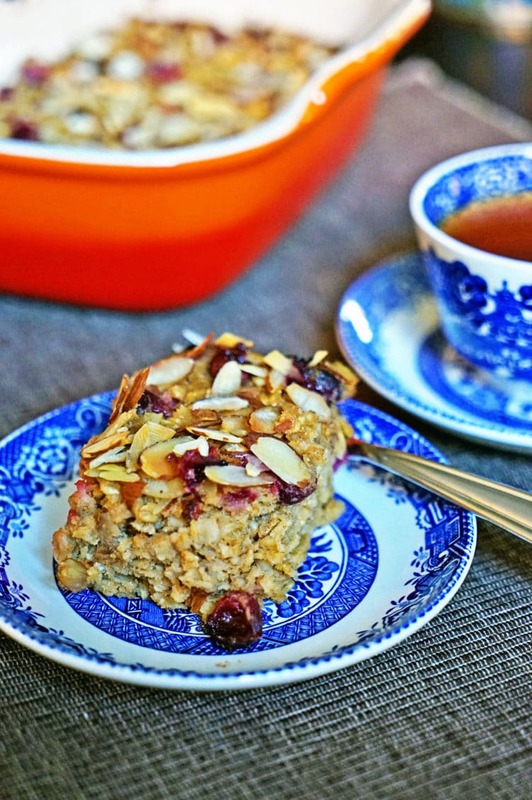 It’s Friday and I have a fun dessert recipe for you guys. This is a great one for the upcoming holidays for family and friends, out of town guests stopping by etc. A quick pastry dough gets made, rolled out and the filling sits on top. The other layer of dough gets topped and the edges crimped and sealed. A little egg wash, a sprinkling of turbinado or finishing sugar and in the oven it goes. I asked Dave what he wanted for his birthday and without a second of hesitation the words “apple pie” came out. 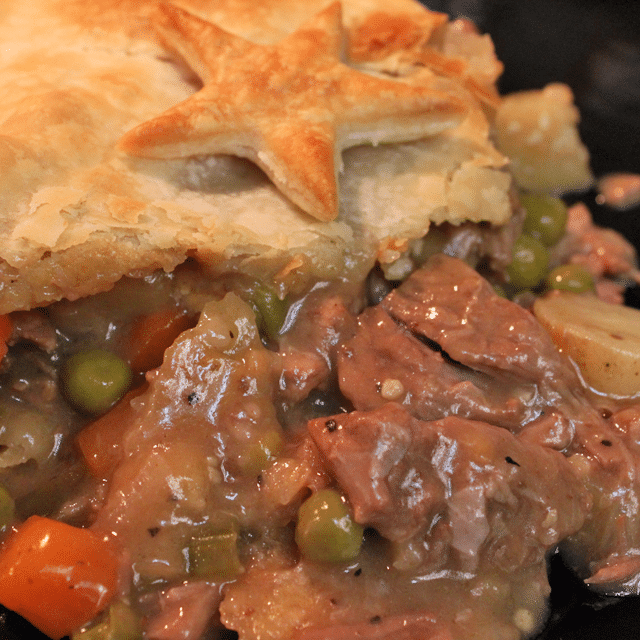 It made me smile as the pie dough was already made and in the refrigerator firming up. 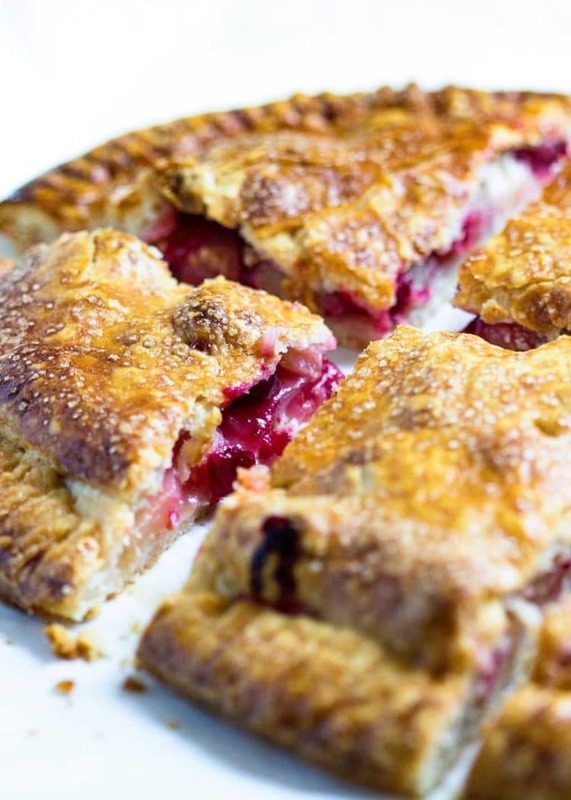 With a few friends coming over for dinner I figured this Cranberry Apple Slab Pie would do the trick for all. 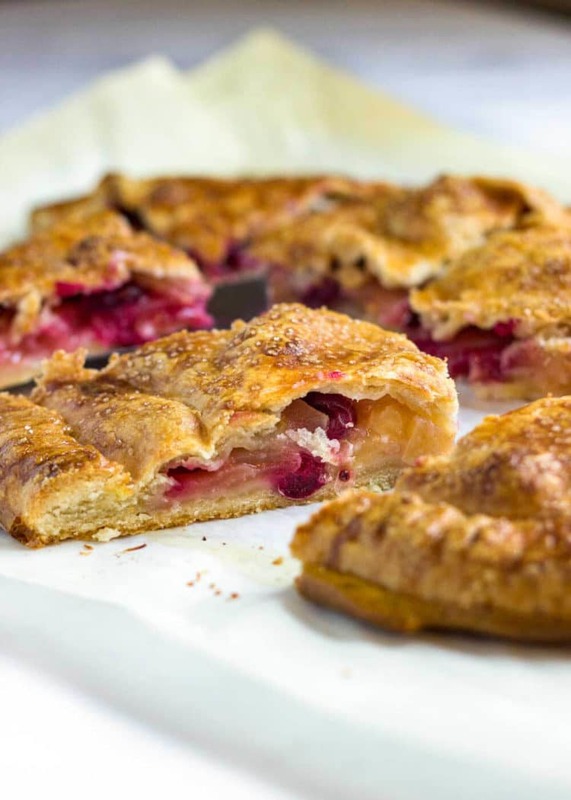 With Fall in the air and cranberries at the market it was an obvious pick for me to add them to the apple pie. 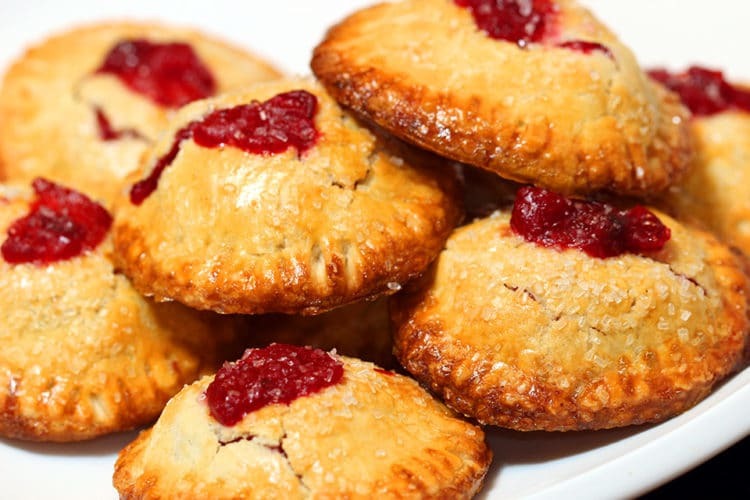 With a little lemon zest and a pinch of cinnamon this is a fantastic fruit filling. We have been on a Honeycrisp apple kick as of late. I used them in my Baked Hasselback Apples and they are tart and hold up well. I hate a mushy apple when baked. 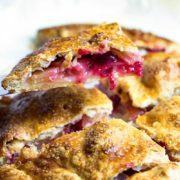 This dough is perfectly flaky, buttery and with that crunch on top from the turbinado sugar, it’s a great one for this cranberry apple filling. Needless to say there was not one piece left. Hope you give this a try, enjoy! Prep time includes refrigerating dough to firm up prior to baking. Adapted from Food & Wine's, Pear and Cranberry Slab Pie. In a food processor, pulse together 2 1/2 cups of the flour with 1 tablespoon of the granulated sugar and 1 teaspoon of kosher salt to mix. Add the butter and pulse until the mixture resembles coarse meal. Drizzle the ice water over the mixture and pulse until the dough just comes together. On a floured work surface, gather any crumbs and pat into 2 rectangles. Wrap each rectangle in plastic and refrigerate until chilled, about 45 minutes. Preheat the oven to 400°F. 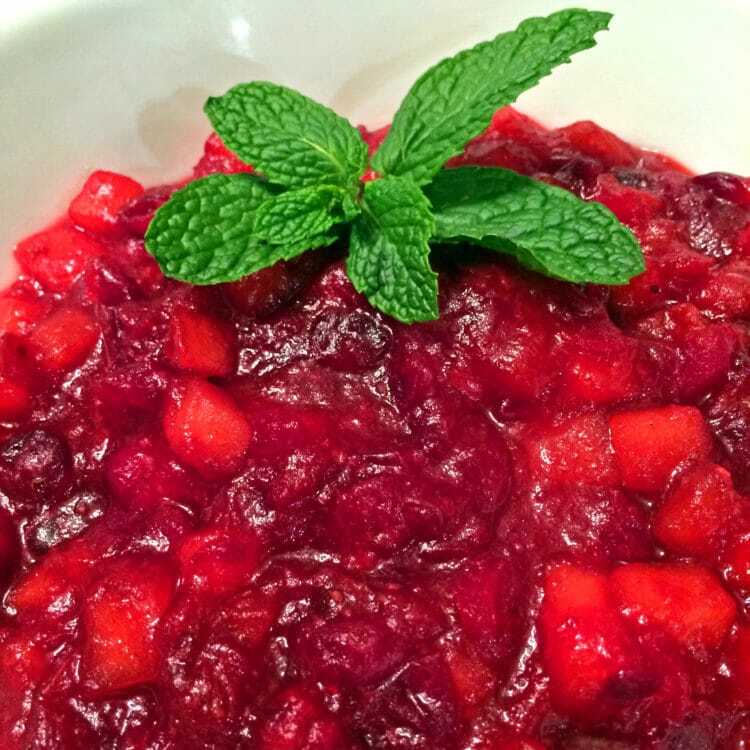 In a large bowl, toss the apples, cranberries, ginger, lemon zest, 1/2 teaspoon of salt and the remaining 1/2 cup of granulated sugar, 1/4 cup of flour and cinnamon. On a floured work surface, roll out 1 piece of the dough into a rectangle or oval shape, roughly 12-inches in length. Keep other rectangle of dough in refrigerator. With pastry scraper or metal spatula, slide the dough onto a large baking sheet lined with parchment paper. 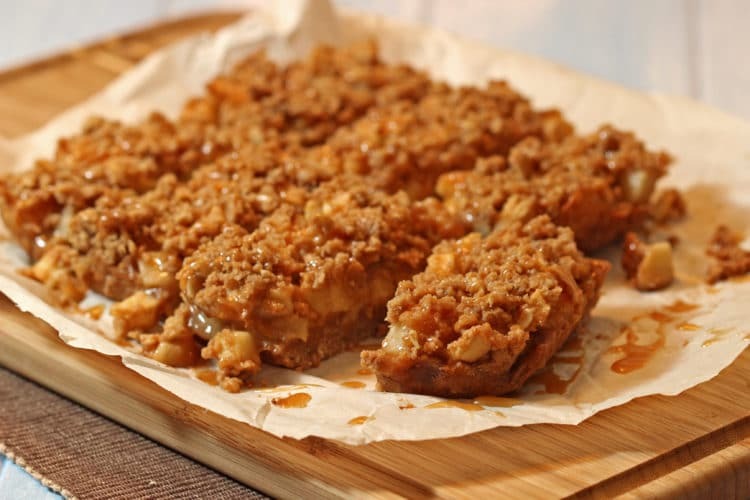 Spread the fruit evenly on the dough on the baking sheet, leaving a 1-inch border. Roll out other piece of dough into a rectangle or oval shape, roughly 12-inches in length. With pastry scraper or metal spatula, lift and ease the dough on top of the fruit. Fold over the edges and crimp with fork tines all around to seal. Brush the pie with the egg wash and sprinkle with turbinado sugar. Cut 8-10 small slits in the top and freeze for 15 minutes. 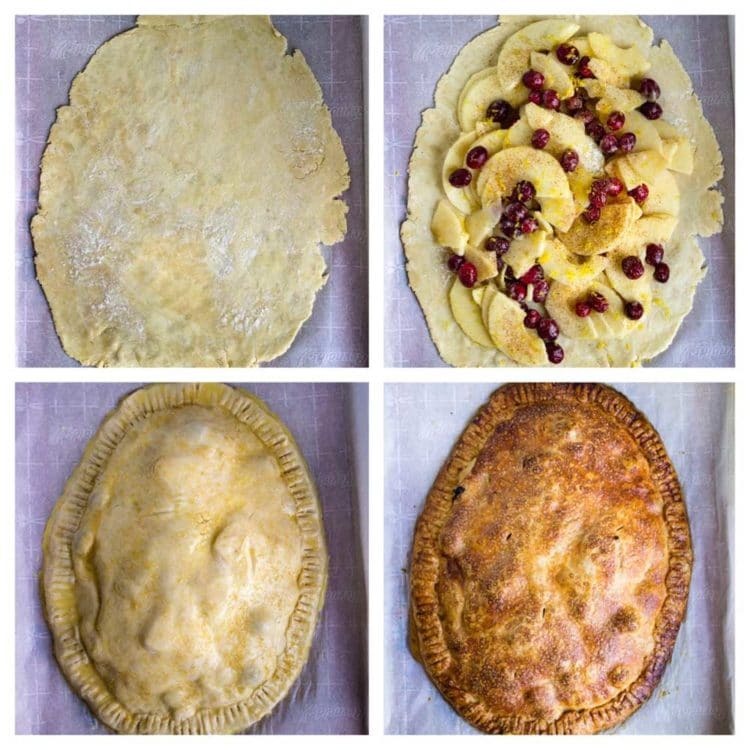 Bake the pie for about 50 minutes, until golden and the apples are tender. Let cool. Cut the pie into squares and serve. Love this post, Kevin. 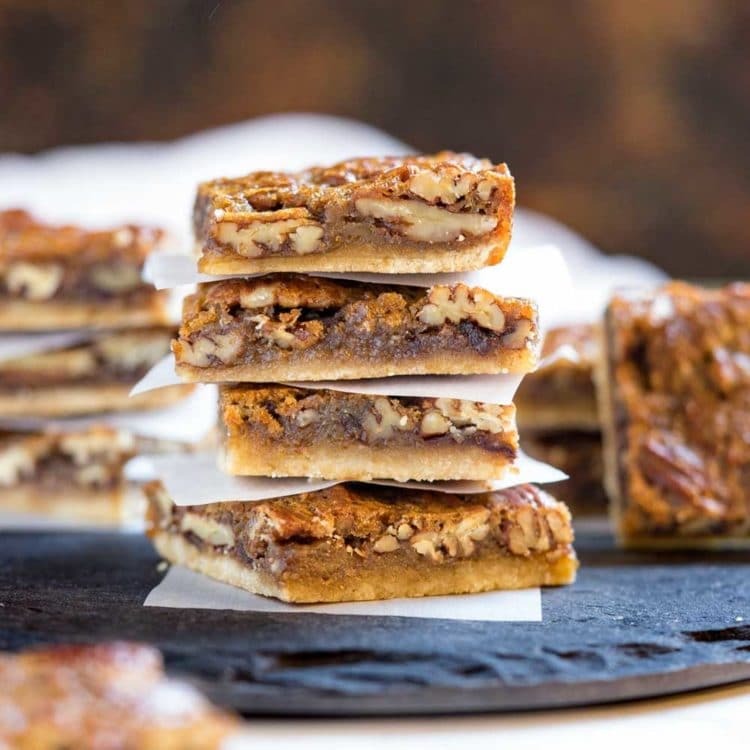 Not just the delicious-sounding treat that is replete with fall goodness but your photos as well – exquisitely mouthwatering. Wonderful job, as always! Yes!!!! Finally a pie with my name on it!!! I have never heard of a slab pie but it reminds me of my crostatas that I make. This DOES look perfect for the holidays!!! I’m giving this a go for sure! Thanks Mila, super easy and rustic and that cran-apple combo can’t be beat! Can I have this shipped to my house … like yesterday?!?! LOL. 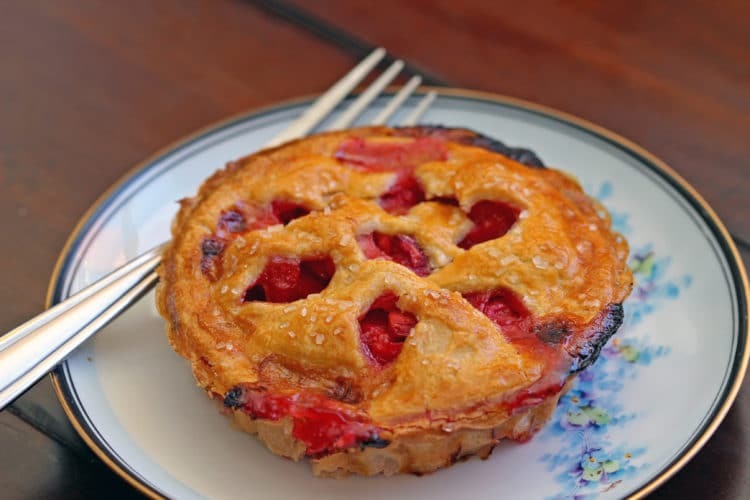 Love this rustic looking pie and love the cran apple combo, Kevin!